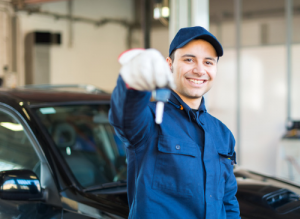 Does your dealership sublet rental cars to customers? I’ve noticed a pretty common problem that might be causing your dealership to lose money. When a customer rents a car from you, the proper procedure is as follows. First, open a repair order (RO) and enter in the dollar amount for whatever the rental car costs. Next, create a purchase order for the rental car company. In most DMS software the dollar amount from the RO will auto populate the purchase order. The way it’s supposed to work is that the customer pays you for the rental car and your dealership pays the rental car company—say it’s Enterprise—for the rental car. No problem, right? Everyone gets paid and everyone’s happy. Here’s where the problem occurs. An employee—let’s call him Rick—calls Enterprise and orders a car for a customer. He doesn’t know the exact dollar amount to enter in the RO because he’s not sure how long the customer will have the rental car. For now, he puts in $0. The $0 gets transferred to the purchase order. Rick gets busy doing other things and forgets all about the customer with the rental car, and he forgets to update the dollar amount on the customer’s RO. The customer returns the car in three days, the cashier looks at the RO and figures the rental must have been comp’d. The customer walks away paying nothing and your dealership just lost $100 or $200 or whatever the agreed upon amount was. However, you still have to pay the rental car company, because they are not going to accept a purchase order with a $0 amount. Even worse, if the customer’s vehicle is still under warranty, your OEM will reimburse you for rentals cars. However, you won’t get reimbursed if you never file a claim. This happens more than you probably think. The same thing happens with towing services, but not nearly as often as it happens with rental cars. Do you believe that your employees are smarter than this, and this would never happen at your dealership? Do you think your customers will insist on paying for their towing or rental car services when the cashier smiles at them and says, “No charge”? Just for fun one day, go through your sublet and towing service ROs from last month, and see if you find any with a $0 amount. When employees don’t do their jobs, dealers can easily lose hundreds, if not thousands per month. Fortunately, there’s a simple policy change that will stop this behavior and the bleeding of your money. Always, always, enter a dollar amount onto the RO. Never, never, write $0. If you know the amount, then write the amount. If you don’t know the amount, then the amount entered should always be $10,000. When the customer returns the car and goes to the cashier, what do you think happens if the RO hasn’t been updated and the $10,000 is still on there? The cashier will know the amount is wrong and will adjust it to the proper amount. You’d think they would also do this when the amount is $0, but for some reason $0 doesn’t seem to bother them. $10,000 is a big, bothersome number. I have taught this technique for 13 years and it works like a dream. Actually, there was one time in that 13 years when the $10,000 charge made it all the way through to accounting and was posted. Four people saw it, and either never noticed or questioned the high amount. Yup, that’s how much your employees are paying attention some days. It wasn’t a big deal; the dealership simply reversed it out and fixed the amount. But virtually 99.999% of the time someone will notice the big $10,000 number and the proper amount will be charged to the customer. Try implementing this policy and see how much more revenue you bring in for rental cars and towing services.